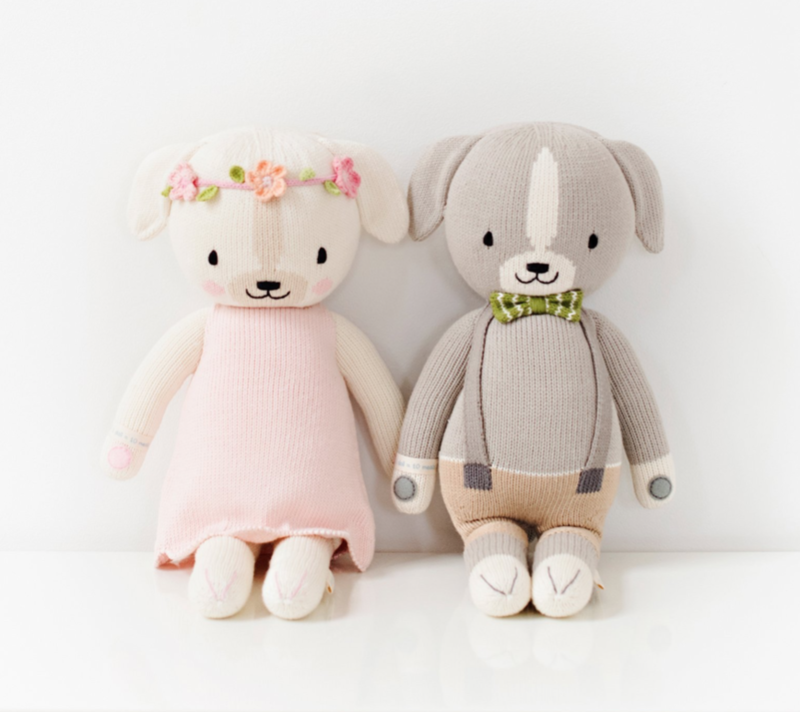 A few weeks ago I fell in love with a range of beautifully designed hand made dolls from a brand called cuddle + kind. Not only are they exquisite, but the story behind them is wonderful too and I just had to share the brand with Petalina’s readers. 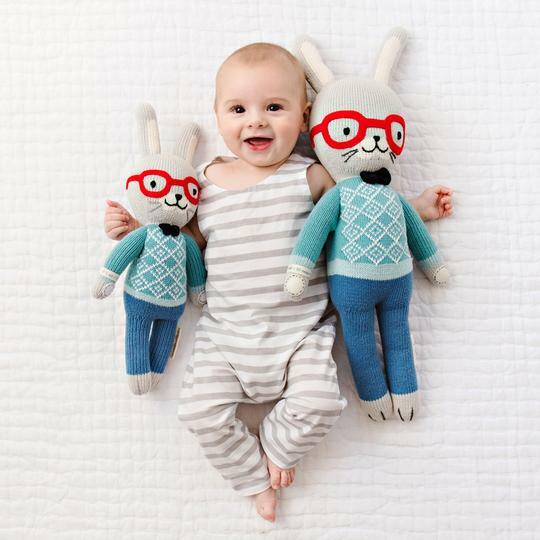 The founders of cuddle + kind call their business a labour of love. 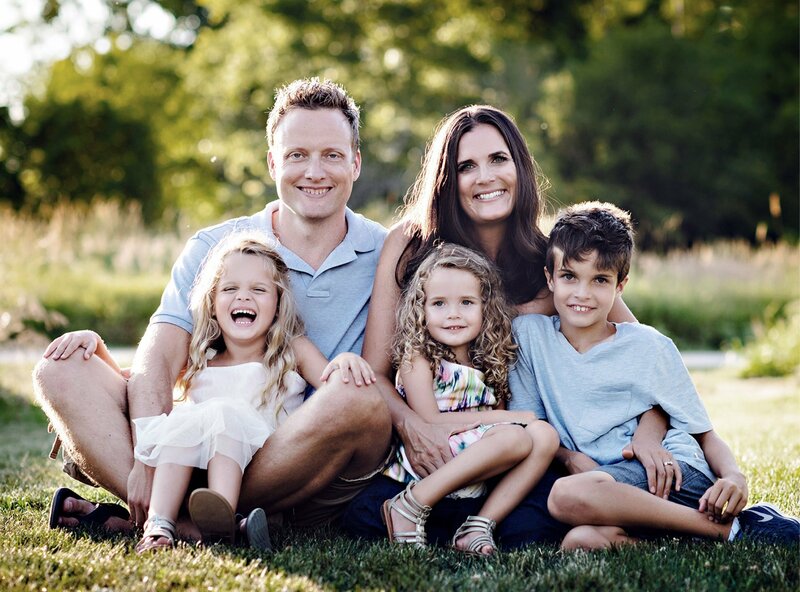 It came about because Jen and Derek, parents of Ethan, Brooke and Rachel, watched a documentary about childhood hunger and it was shocking. 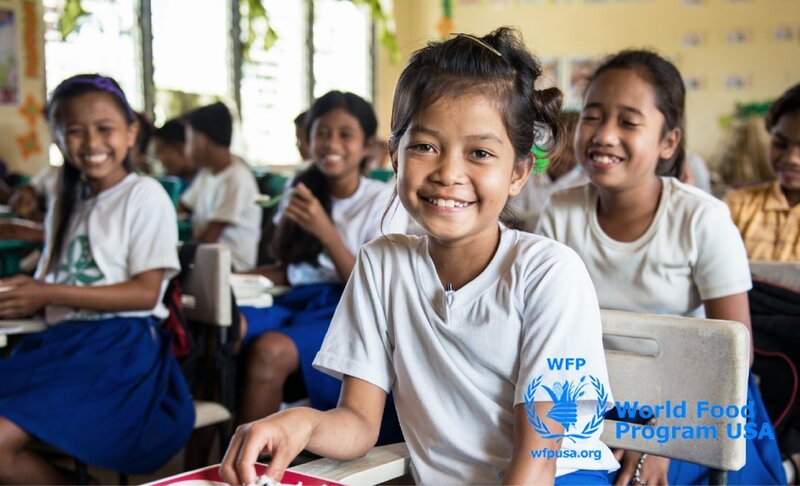 With careers in nutrition they could not believe that children all around the world go hungry on a daily basis. In fact, 66 million children go to school hungry every day and 45% of deaths of children under the age of 5 are caused by poor nutrition. I can imagine how much this was talked about in their household resulting in Ethan, their son, suggesting that they do something to help. And they did. 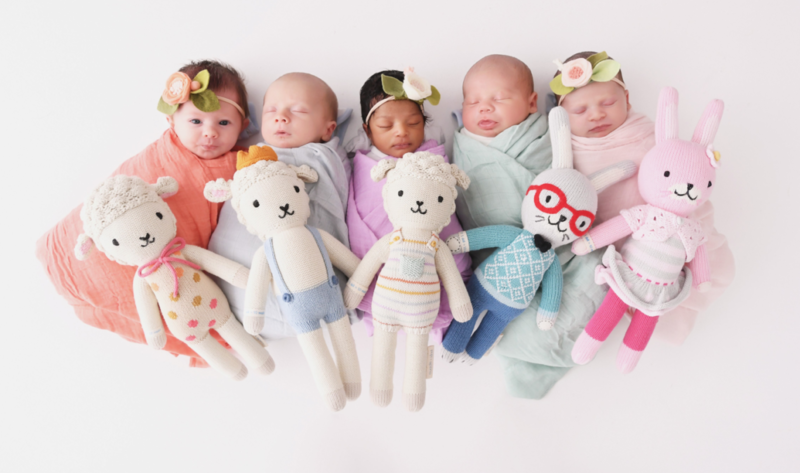 They started a business that not only supports 750 skilled craftswomen in Peru, but every ethically produced doll that is sold provides 10 meals for hungry children in 65 countries around the world. cuddle + kind work in partnership with several highly respected humanitarian agencies, including the World Food Programme, to ensure that their meals reach those children from the poorest communities in the USA, Canada, Peru, Haiti, Kenya and far beyond. Many of the meals are provided to schools to distribute, which improves behaviour, attention and learning as well as improving attendance. Anything that encourages poor children to attend school is very positive because it is education that helps children escape the poverty trap, particularly for girls, who in some parts of the world can avoid early marriage and early childbirth by attending school. Those of you who know Petalina well may remember that we support two girls via Plan International, and reading about cuddle + kind just touched my heart. I know it has also touched the hearts of many other people because their crowd funding target was reached in just one day and that was 3 years ago. Also, to date cuddle + kind have provided more than 5,000,000 meals. When you have a look at their website there is a meal counter at the top of the page! 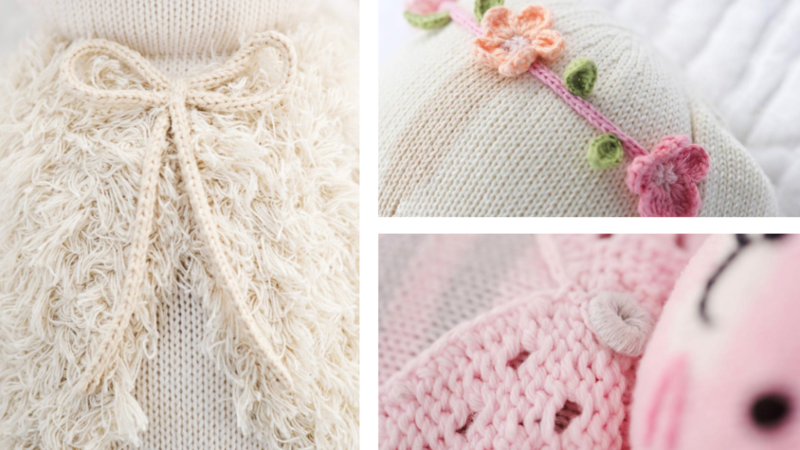 cuddle + kind are a range of hand knitted animal dolls in two sizes. The large dolls are 20″ (51cm) and the small dolls are 13″ (33cm). 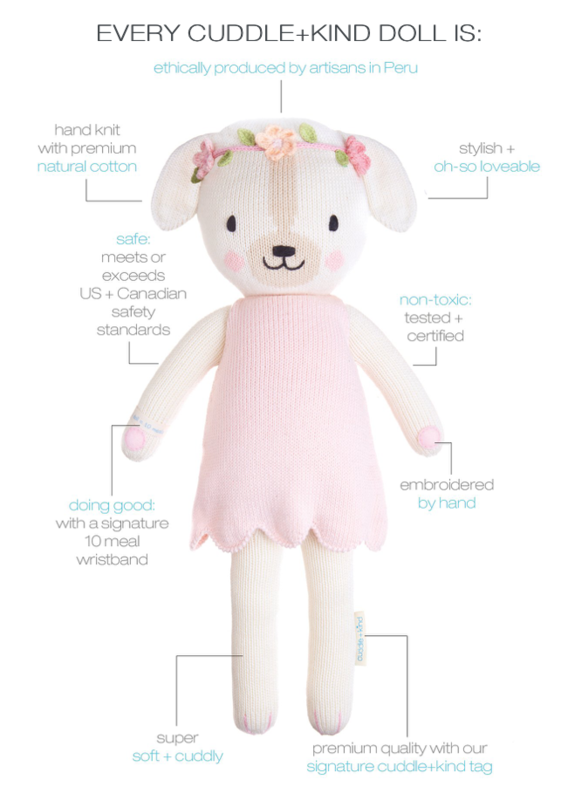 All the dolls are beautifully designed for little hands to grab and hold, with the perfect amount of squishiness to cuddle. 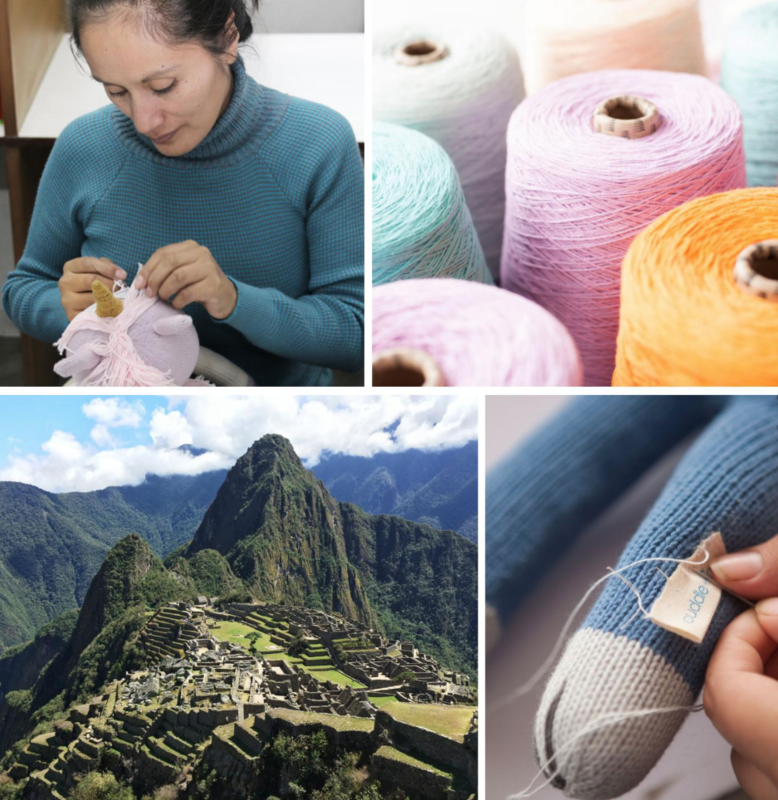 They have been hand knitted using pure cotton yarn by 750 skilled women in Peru who receive fair trade wages and regular work. 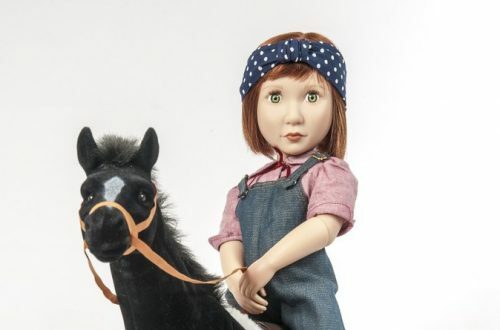 It is the attention to detail that looks amazing and the reviews certainly confirm that the quality of the dolls is incredible. Just look at the photos below which are from the website and not my own. 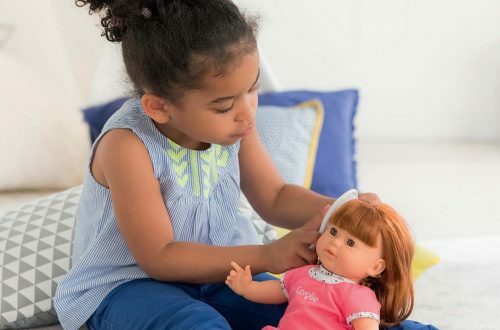 The website is also a feast for the eyes because when you click through on any of the products you will find lots of amazing photos of the particular doll with babies. Lots of them! Such as this one. Delivery is possible to the UK although standard delivery takes 2-3 weeks as products come from the US, so probably not a purchase for this Christmas. Shipping to the UK is free for orders over £85 and at the time of posting there was an offer of free postage when signing up to receive their newsletter. Shipping is also available around the rest of the world. 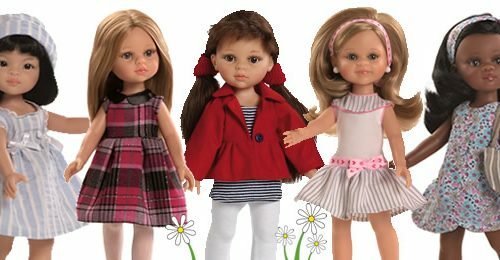 If you would like to find out more about these wonderful dolls then do go to their website. 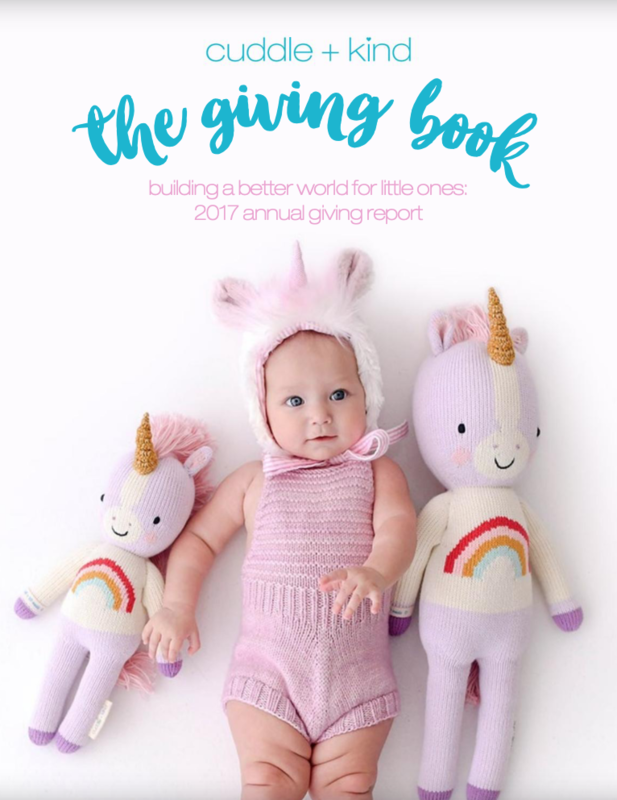 You’ll find all the delicious products with baby photos, the most amazing flick through online magazine called the giving book for 2017 (pictured below but please click link to the left to visit it) and a video called Labour of Love, which is all about the passion behind the business. I’m so pleased to have discovered these gorgeous products and will be ordering one for my new granddaughter for her first birthday. The hardest thing will be choosing one! If you order and are pleased with your purchase, I would love to hear from you. None of the links in this post are affiliated, nor have I received any payment to write it. I have done so because I really want this lovely company to thrive and continue to feed so many children.